Multitasking | One year, one job. 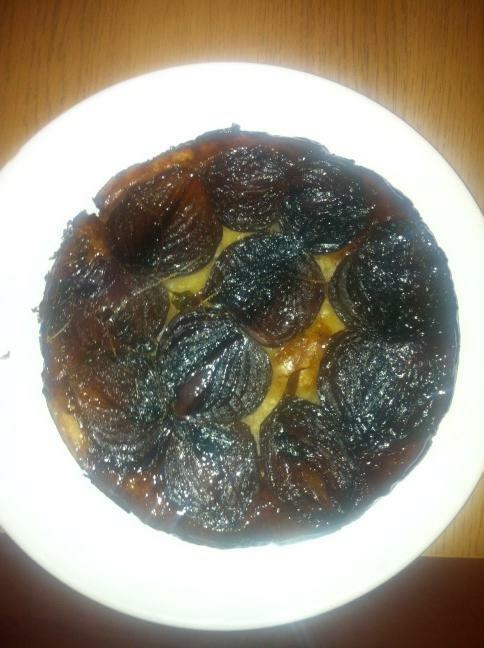 Maybe I’m a bit overly proud of my red onion tarte tatin. Since my return to university, it’s become very apparent that free time has become a thing of the past. Actually, that’s not specifically true: Time to procrastinate has become a thing of the past. In the two weeks I’ve been back I’ve juggled lectures, readings and tutorials, finding an internship, a careers-based trip to London, a weekend in Glasgow, participating in the student paper’s Come Have Dinner With Me (I’m hoping my red onion tarte tatin went down well – see picture! ), cooking brunch for eight people, subbing the student paper, reviewing a gig, meeting up with my Study Abroad mentee, participating in a graduate recruitment focus group and writing this blog. When I write it down it seems like quite a lot. In reality, it’s just that… my reality. Having found myself an internship I’m now turning my attention to what I really want after graduation. Many graduate schemes have already opened so I need to get my applications rolling and then maybe at some point I’ll find the time to consider whether I am best suited to a formal scheme or not. I start work next Friday and this Friday I’m taking the day out of my life to go to Liverpool. Somehow it came up in my interview that I’d never been so I’m grabbing the opportunity of a free day whilst it’s there and am venturing further north west than ever before. Today I’ve got four hours of uni, a study abroad mentoring event and then I may have an hour free to sneak off to the Arndale student event to see what’s going on there. Anyway, I best go get ready for uni. Life might be busy, but I wouldn’t have it any other way. UPDATE: Today in a lecture I had to physically give my iPhone to a friend in order to stop me getting distracted by other digital goings on and focus on my lecture. My brain is a little over-active at the moment. Can anyone recommend exciting things to do in Liverpool? Or any tips for how to successfully juggle the various parts of my life?